March 20 is the International Day of Happiness, the result of a UN resolution adopted in 2012 that identifies the pursuit of happiness as "a fundamental human goal" and promotes a more holistic approach to public policy and economic growth — one that recognizes happiness and wellbeing as important pieces of sustainable and equitable development. The official page for the International Day of Happiness, HappinessDay.org, goes one step further in declaring happiness a "universal human right." But is happiness really a human right? And is happiness a goal we should actively pursue? I think the answers are "no" and "it depends." First, consider the analogy between psychological wellbeing — including happiness — and physical wellbeing, or health. The World Health Organization endorses a "right to health," but the details make it clear that it isn't health, per se, that is a right, but rather the means to achieve the best health possible. The WHO constitution recognizes "...the highest attainable standard of health as a fundamental right of every human being," with the right to health including "access to timely, acceptable, and affordable health care of appropriate quality." Similarly, the Declaration of Independence doesn't recognize happiness as a right, but rather the pursuit of happiness. So it may be that the best way to understand a "right to happiness" is as a right to pursue happiness. Happiness just doesn't seem like the right sort of thing to proclaim as a right in itself. The trouble is that a right to the pursuit of happiness may be counterproductive. For most Americans, actively pursuing happiness isn't a reliable route to attaining it. Studies conducted in the U.S. have consistently found that actively seeking happiness can backfire: Those who strongly value and pursue happiness are more likely to feel disappointed about their own feelings, to report loneliness, and to have depressive symptoms. One reason for these negative effects is that in many Western cultures, happiness is conceptualized in individualistic terms — as a personal pursuit that leads to personal achievements. Actively pursuing happiness (so defined) can thus decrease social connection, which is one of the best predictors of a person's wellbeing. These findings suggest that, at least in the United States, promoting a right to pursue happiness could lead to behaviors and outcomes that are quite distinct from those that support happiness itself. Put more strongly, supporting people in actively pursuing happiness could actually prevent people from achieving happiness. And it is presumably the latter — the actual achievement of happiness — that the UN resolution aims to recognize and support. In light of this research, a right to the pursuit of happiness may seem deeply misguided — a right we should simply abandon. Instead of a right to pursue happiness, we should endorse a right to the conditions that successfully foster happiness. Or, to borrow the WHO's formulation regarding health, we should endorse a right to the highest attainable standard of mental health and wellbeing. But here's another thought: Maybe the problem isn't with the pursuit of happiness, but with how we conceptualize happiness itself. 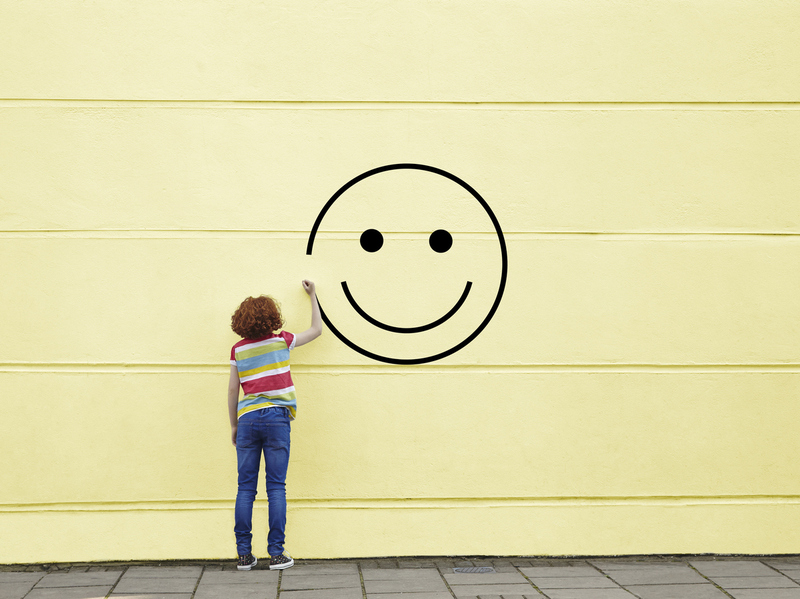 When it comes to defining happiness, perhaps there's another way — a better way. Cross-cultural research suggests that there is. In a paper published in 2015, psychologist Brett Ford and her colleagues found that the negative association between pursuing happiness and achieving happiness isn't cross-culturally universal. In the U.S., they found the previously reported link between pursuing happiness and failing to achieve it. But in Germany, there was no reliable association between the strength of individuals' motivation to pursue happiness and their actual wellbeing. And in Russia, Japan, and Taiwan, the association was positive: Those who were more motivated to pursue happiness also reported greater wellbeing. The researchers hypothesized that these cross-cultural differences were driven by differing conceptions of happiness itself. They expected — and found support for — the idea that in more collectivist cultures, happiness is more likely to be defined in terms of social engagement, including pro-social behaviors (such as seeing to other people's wellbeing) and social relationships (such as being surrounded by caring family and friends). For those with a socially-engaged definition of happiness, pursuing happiness presumably supported the kinds of social connections that are known to foster wellbeing, reversing the negative pattern observed in the U.S. If these ideas are right, then the effects of pursuing happiness crucially depend on one's notion of happiness itself. Promoting a right to the pursuit of happiness could yield positive consequences when happiness is understood in social terms. But with the more individualistic definition prevalent in the U.S., promoting the active pursuit of happiness could lead to less happiness, not to more. More likely than not, the UN's original advocates for the International Day of Happiness had a broad and community-oriented notion of happiness in mind — not the more narrowly individualistic one that many Americans seem to posses. For instance, the resolution itself doesn't simply call for more personal wellbeing, but for "a more inclusive, equitable and balanced approach to economic growth that promotes sustainable development, poverty eradication, happiness and the well-being of all peoples." In celebrating the International Day of Happiness, then, we might do well to examine rather than reaffirm our tacit assumptions about happiness and its pursuit. And we might do well to join the UN's resolution in aspiring to the wellbeing of all peoples, not only to our own happiness as individuals.